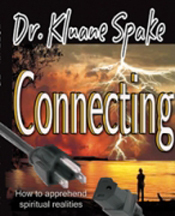 Dr. Kluane is a highly experienced keynote speaker. She works with hundreds of churches worldwide. She has a way of making the seemingly complex, easy to understand. These miraculous services are Spirit led, fast-moving, informative, enjoyable and entertaining. Each ministry is fresh and customized for your particular requests and needs. Dr. Kluane Spake has worked with hundreds of churches worldwide and is considered one of the Apostolic pioneers in the arena of preaching about "the finished work of redemption." As a highly focused preacher, author, speaker, coach and consultant, she is dedicated to helping Christians tap into their enormous potential and increase their sense of direction, confidence, and ability to tap into the supernatural. You'll be able to immediately apply these ideas to your life and align into greater truth. The passion of this ministry is to provide accurate Biblical understanding that will cause believers to shed preconceived religious notions, and press into a powerful comprehension of the infallible Word of God. Apprehending present truth leads us into greater awareness of our purpose, mission and ultimate legacy. Dr. Spake lives in Atlanta, GA with her husband and family.